HURRY, ENDS MONDAY DECEMBER 31ST! Choose from 100’s of Fabrics and Leathers. Visit our showroom and see what’s possible! Bring pictures of your room and dimension of the space and our designers can help you put it all together. Test drive standard, down, and firm cushion options. 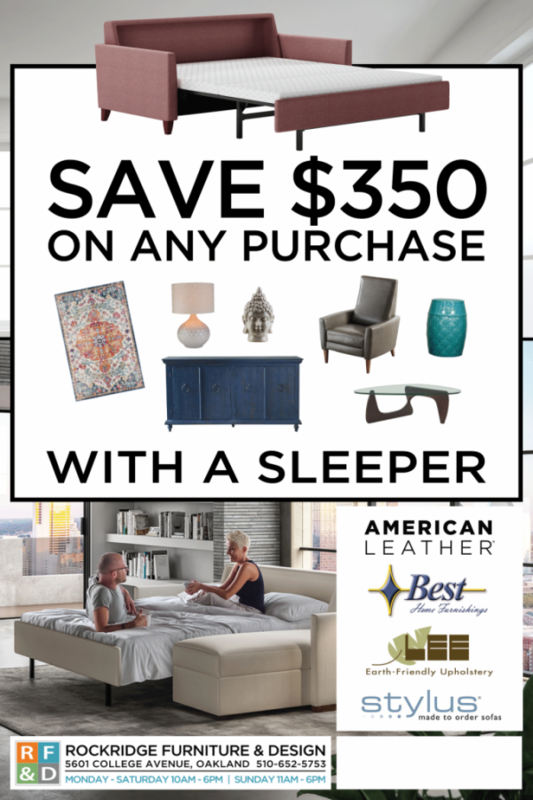 SAVE $350 ON ANY PURCHASE WITH A SLEEPER!